Nice crunch, for a thin chip. 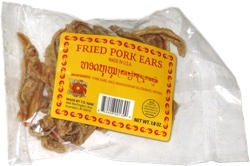 They are fresh, with a good chili powder taste. They do have some kick to them. A little too oily. Smell test: Sort of like paprika chips. 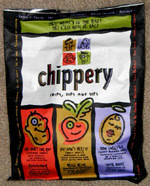 Trivia: The Chippery uses this same bag for potato, beet and sweet potato chips, in 12 different flavors. This snack was discovered by Keith and Melissa at Fashion Show Mall food court, Las Vegas.